The Sisbarro Dealerships in Las Cruces and Deming, New Mexico were founded by Lou and Pat Sisbarro in 1981. 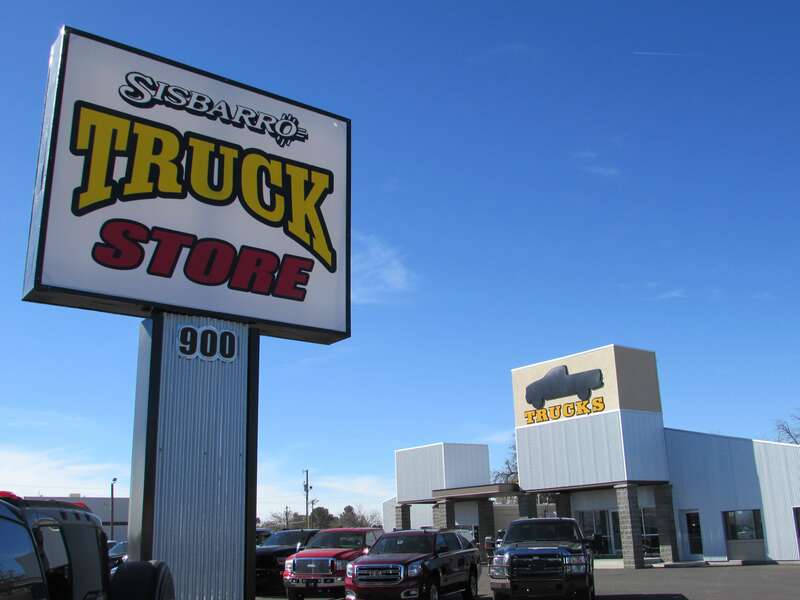 At Sisbarro Truck Store, we serve the pre-owned retail automotive needs of sales and parts customers from eastern Arizona, across southern New Mexico and into west Texas. Our mission is to exceed the expectations of our customers during their consideration, purchase and repurchase experiences. We work daily to deliver used truck, car and SUV sales to our past and present customers and to provide jobs and job security for our employees, as well as for the benefit of the communities that support our business. Sisbarro’s ownership, management and workforce live in Las Cruces and Deming. We are active citizens who participate in local charities, schools, not-for-profit organizations and New Mexico State University. Sisbarro stresses training and management development programs for all employees. We believe this yields superior customer service and an attentive staff. We have managers on board who are dedicated to the principles of the organization, many of who have been with Lou Sisbarro more than 30 years. It is our personal commitment to see that every experience at our dealership is positive. We sell cars and trucks today in the same "Sisbarro" way as when we started in business - one at a time, with the personal respect and the individual attention you deserve. When you visit Sisbarro Truck Store, our dedicated staff will gladly assist your search for a used or certified pre-owned car vehicle that matches your needs, style, and price point. We even carry a number of exceptional vehicles under $9,999; so you won’t have to worry about breaking the bank on your dream car. Want to know what truly makes us stand out from the rest? Every Sisbarro vehicle comes with our exclusive Warranty4Life powertrain protection. Simply follow the recommended maintenance for your car or truck at any of the Sisbarro service centers, and if a breakdown occurs, all repairs made on the powertrain components of your car will be be performed at no cost to you! As we get to know you better, we look forward to building a long lasting relationship to better suit your needs! If you have any questions, or would like to schedule a test drive for one of our incredible used trucks or cars, feel free to contact Sisbarro Truck Store in Las Cruces at (575) 524-1909.